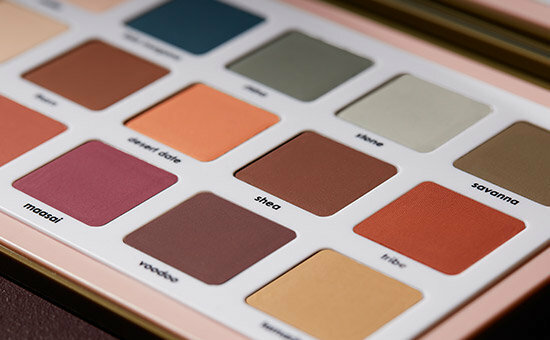 Explore a jungle of colors with the Safari Palette, Natasha Denona’s first all-matte eyeshadow palette. 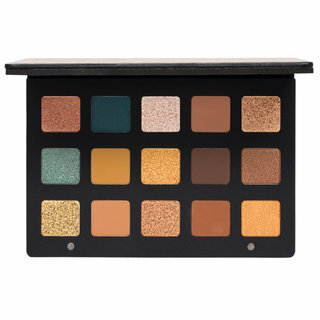 Inspired by a safari adventure, this 15-pan palette brings out the best in Natasha’s signature matte eyeshadow formula with rich hues ranging from earthy terracotta to deep sea blue and olive khaki green. 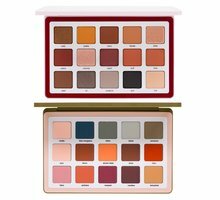 Experience Natasha Denona’s cult-favorite eyeshadow formula for cream-to-silk coverage, saturated color payoff, and an unbelievably velvety texture. 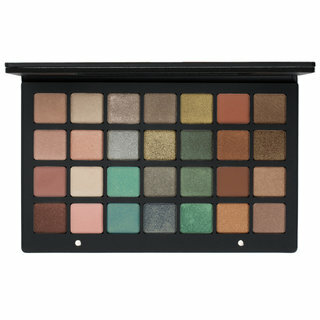 Unlike powdery, difficult-to-blend matte eyeshadows, each shade melts into skin with a creamy feel and zero fallout. The sophisticated spectrum of colors—from rich jewel tones to dusty muted hues—lets you create modern looks that range from barely-there to full-on glamour. Use your favorite eyeshadow brush to buff and blend the shadows onto the eyelid. It is all about the application technique! 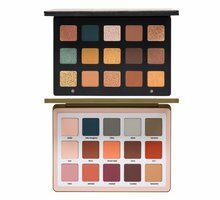 I love the Safari palette! At first, I found application awkward because I was over blending. Don't do it. To get the best results, the best application technique is packing, not blending. 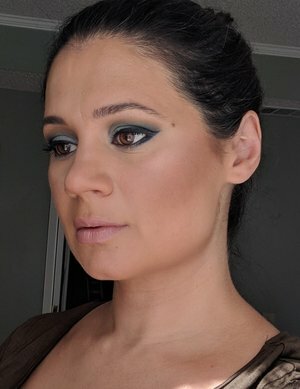 I was so pleased that Natasha Denona herself replied to my post on Instagram about this issue and provided some very good application advice particularly for hooded eyes: "the best way to build an eye look with hooded eyes is applying the medium or dark shades all over the lid and blending upwards above the fold. You need to reach the the point above the fold while eyes are opened, then blend with a slightly lighter shade upwards. Sometime mix both sides together to create transition between them. With this technique you will be able to create seamless and airbrushed finishes". Her further advice about application generally:" ...it has nothing to do with the brushes you use. You have to pack the eyeshadow straight onto your eyeshadow base and you'll get this beautiful deep blue (Fata Morgana)..."
Natasha Denona knows what she's talking about. Since trying this method of application, Safari has been an absolute dream to use. The packing technique creates maximum impact and the shadows last well over 8 hours as well! In terms of blending upwards above the fold, I lightly dip my Nars 41 brush in Oyo and use that to blend the darker shade upwards. I use a light dabbing motion with this dense large eye brush, rather than the windscreen wiper blending and it works absolutely perfectly. 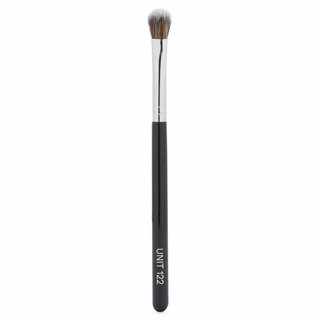 For packing, I would recommend Sonia G's Builder 2 brush (please bring it back in stock soon, Beautylish, as I want to buy a second one!). All you need to do is swipe the brush on a microfibre cloth to remove excess powder in between applying different shades. This has to be the most perfect brush for packing matte eyeshadow and for getting. The colours are just beautiful. Tribe is my favourite, with Maasai, Amahara, Tamarind and Voodo close favourites. Now that I understand the application technique required, I am getting the most of Safari using it every day since it arrived. 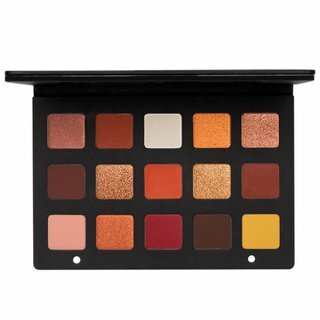 The shades are distinct, unique and in tune with the season and I love the way Natasha has curated this palette. I enjoy her eyeshadows which make up about 80% of my eyeshadow collection. This is quality at its best and I'm so pleased to have added Safari to my collection. Beautylish, as always, provides stellar customer service. I ordered it on the Friday it launched and it arrived on Monday here in the UK! It was beautiful wrapped and I appreciated the cardboard casing around the palette to ensure it reached me safe and sound. Although they are powder, they apply more like a cream. 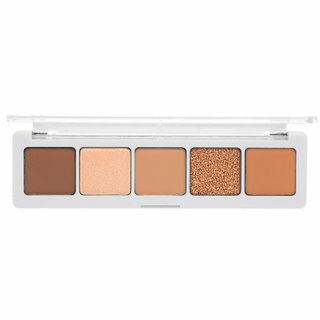 These eye shadows work best with packing and minimal blending around the edges. They apply amazing and true to the color if you use a primer like Urban Decay anti aging primer potion. I highly suggest primer especially while applying browns. Also, while blending the edges; use a lighter shade together with dense, stiff brush, and blend with circular motions. Smudge brushes works wonderful to blend the edges of the darkest tones. This formulation is different than anything I have ever own due to their texture. 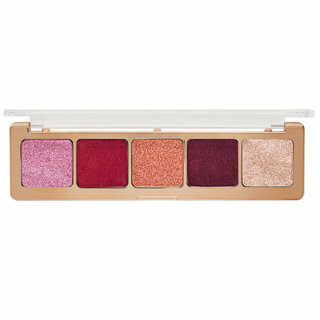 It gives you the intensity of cream eye shadows and control of powder eye shadows. Do not miss it especially if you are after quick looks with one or two eye shadows. In the picture, I used Stone on the lid, Rhino in the crease, and Fata morgana as a liner. Thank you Natasha Denona! This palette is sensational. 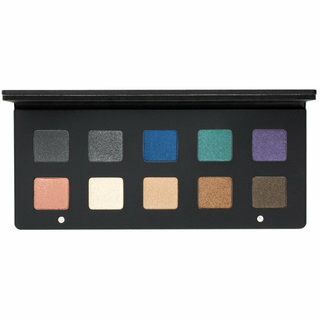 The formula is creamy, pigmented, no powder kick-up, no fall-out and best of all - easy to use. The color scheme is different, but not outrageous. And the packaging is just perfect. I love the hard plastic, full-sized mirror and removable pans. Super creamy and pigmented. Definitely a great buy. 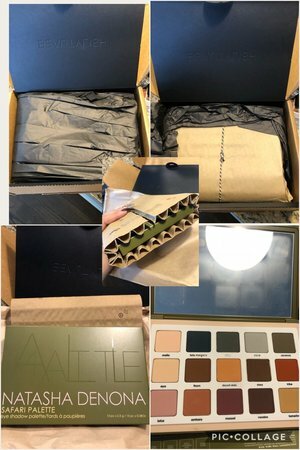 And the way Beautylish packages their orders omg!!! Best packaging ever!!! The pallet was super protected. 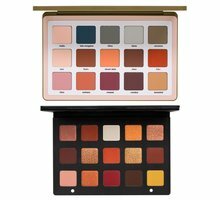 I’ve never thought I was going to love a complete matte look as much as I do with this palette. Today I created a Smokey halo eye with six colors. Very easy to use, creamy, pigmented just fabulous. I’m not a mua I’m just a makeup lover. All colors blend together with no issue at all. 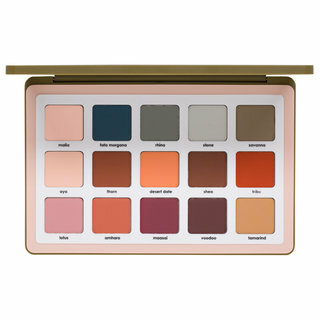 I highly recommend this palette and all Natasha Denona products. My skin is very dry, dehydrated and mature. Just for reference I’m 47. Enjoy life with this unique precious piece of art!!! 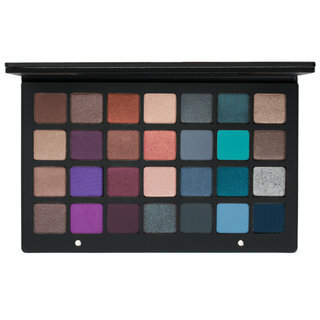 Many colours are the Same as in the Viseart dark mattes. Sadly the dark colours are a little patchy:( it‘s not the same as the old palettes. I am never disappointed with Natasha. In the past I steered away from mattes, but now I am hooked. At first I thought oh no, these look muted, but I was so wrong. 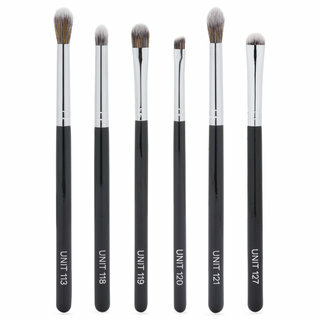 These blend themselves, packing instead of serious blending because they are very pigmented and buttery. Can't say enough about how delightful the application experience is. 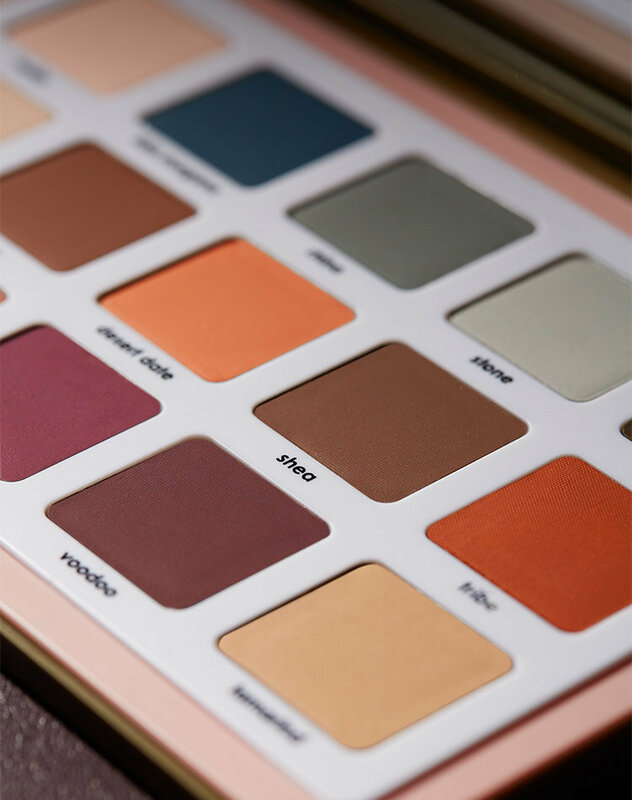 Yes, perfection, Please bring more matte palettes. 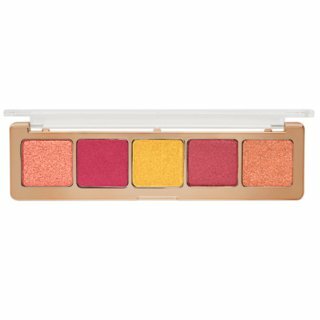 I am a big fan on an all matte platte I had no issue with any of these shadows I am an nc60 and they were pigmented and smooth for blending. I am super happy with my purchase and recommend the palette to others. Best, smoothest formula. Better than viseart mattes even! Beautylish always packages in the best way. Bubble wrapped and safe! This is my new obsession. My daughter and I never thought that we could enjoy an all matte look. These colors are well-paired together and enable you to create endless looks. I am loving her new packaging and the ability to remove the shadows to change what to carry with me when I travel. Overall, I am so happy with this matte formula that I am putting on hold buying other brands at this point. 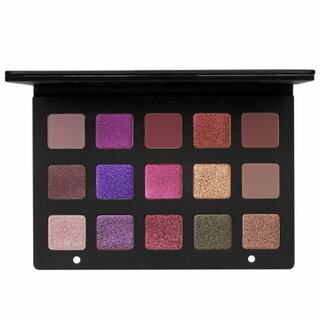 More eyeshadow palettes to love from Natasha Denona!